Low miles! Highway bars and rear seat backrest! Great for young or beginning riders! 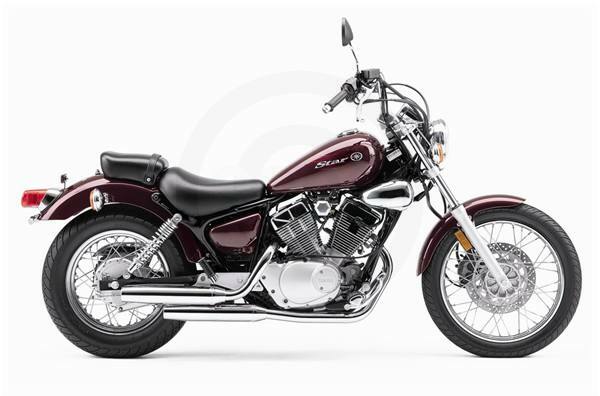 The V Star 250 achieves fuel economy up to an estimated 78 mpg with a fuel tank that holds 2.5 gallons of gas. 249cc air-cooled, 60-degree V-twin engine with a long, 66mm stroke produces plenty of bottom-end torque and smooth roll-on power. Widely geared five-speed transmission makes the most of V Star 250's powerband. Chrome pullback handlebars are easy to reach and great looking.